On 23 June last, over 33 million voters representing 72.2% of all eligible voters participated in a referendum in the United Kingdom (UK). 52% of voters voted for the UK to leave the European Union (EU) and 48% voted to remain. The UK joined the EU 43 years ago on 1 January 1973. As a consequence of the voting results, it would be up to the incumbent government to undertake the UK’s delinking from the EU. The UK comprises England, Scotland, Northern Ireland and Wales. The EU is a politico-economic union comprising 28 states (including the UK) which are located mainly in Europe. The EU caters for a single market with no trade barriers, and for the free movement of people, goods, services and capital. As Grenada is gearing up to utilize the referendum approach in order to test the pulse of the electorate on certain Constitutional Amendment Bills it would be most useful to compare and contrast the 2 approaches. In Grenada over 70,000 voters are likely to be eligible to vote on referendum day (or days) later this year. A referendum is a most important instrument which is usually used in modern democracies in order to determine certain inclinations of the populace. It constitutes a direct vote in which the electorate is asked to approve or disapprove a particular proposal or proposals. In some countries a referendum is referred to as a plebiscite which originates from the Latin word “plebis”. The Plebis itself referred to the popular assembly of the ancient Roman Republic which made very important decisions on behalf of the Roman people. The UK referendum catered for a simple majority support for either the ‘remain’ or the ‘leave’ (or ‘Brexit’) proposals. In Grenada 7 referendums are scheduled to be held at the same time with respect to 7 Constitutional Amendment Bills. These Bills seek to amend certain entrenched provisions of the Grenada constitution, therefore in accordance with section 39 (5) (c) a two-thirds majority support for those Bills is necessary. This threshold is in sharp contrast to the simple majority support which was required in the UK. 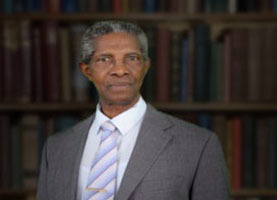 Similar to the situation in the UK, the veil of collective cabinet responsibility was lifted by the Grenadian Prime Minister at the debate stage in the House of Representatives. Members of cabinet therefore had a free choice as to whether they approve or disapprove any particular constitutional amendment. The general convention in the Westminster model of democracy which model Grenada adopts is that cabinet ministers ought not to publicly go against government’s policies. If they do go against such policies then they must resign as cabinet ministers or be fired as ministers by the Prime Minister. In the UK quite a number of cabinet ministers in the David Cameron administration were allowed to publicly support a vote to leave the EU even if the Prime Minister and the majority of his cabinet ministers publicly took the position to remain. In the Grenada context, the implications for the lifting of the veil of collective cabinet responsibility were brought out succinctly during the debate of the seven Constitutional Amendment Bills in the House on Tuesday, 21 June last. In general, all cabinet ministers gave full support to four of the Bills respectively which propose the Caribbean Court of Justice as Grenada’s final court of appeal instead of the Privy Council; an Electoral and Boundaries Commission to undertake general elections, inter alia, instead of a single Supervisor of Elections; changing the name of the state to “Grenada, Carriacou and Petite Martnique” instead of just “Grenada”; expanding on the Fundamental Rights and Freedoms section of the Constitution to reduce, inter alia, the incidences of discrimination against individuals, to entrench constitutional provisions for children under the age of 16 years to have access to free education, to have more privileges for persons with disabilities, to promote gender equality throughout all spheres of society, to cater for a sustainable environment and overall governmental responsibility. The other proposals which met with mixed reactions from cabinet ministers respectively cater for ensuring that there is a Leader of the Opposition where one party wins all the seats in the House of Representatives; giving Parliament the authority to fix a method to establish a fixed date for general elections; and, limiting the time that an individual may be appointed as Prime Minister to no more than three consecutive terms. All the 7 above-mentioned Bills were eventually passed with the requisite constitutional majority in the House of Representatives. They therefore have to be approved by a simple majority in the Senate and then by a two-thirds majority support of all voters participating in the referendums which are likely to take place before the end of 2016. As would happen in the UK, it would be up to the incumbent government to time the implementation of approved proposals.